This episode we had author, philosopher, and punk rock drummer Max Trembley tour us through hit songs on the Billboard Hot 100. Icona Pop – I Love It – What Steve remembered as the “I don’t care” song. Brian Eno Lecture on Pop Music (skip to about 37:15) “Gloss. Sheen. Finish… a lot of attention to a particular kind of sonic production. You know, the really perfect sounds on certain instruments… That’s one side.” He then goes on to compare the Velvet Underground with Abba. Gran Fury was the graphics wing of ACTUP and used advertising’s tropes and polish to communicate about the AIDS crisis. Max is a doctoral student in Philosophy at the New School for Social Research. 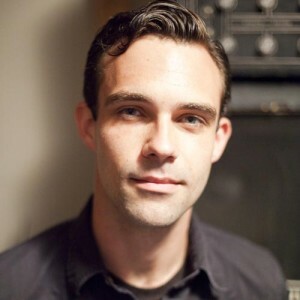 He is the co-editor of White Riot: Punk Rock and the Politics of Race and plays drums in the band Sleepies. The ultimate collection on punk and race, from the Clash to Los Crudos. From the Clash to Los Crudos, skinheads to afro-punks, the punk rock movement has been obsessed by race. And yet the connections have never been traced in a comprehensive way. 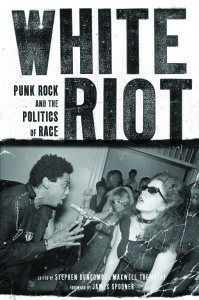 White Riot is the definitive study of the subject, collecting first-person writing, lyrics, letters to zines, and analyses of punk history from across the globe.